The costs of home ownership are much greater than the asking price and insurance. Buyers are typically responsible for closing costs and attorney fees in a depressed market. Sellers are also extremely unlikely to include repairs. The cost of the home itself is a combination of price and financing costs. Your mortgage rate is the largest part of the financing costs, but it is by no means the only part. Focus on getting the best mortgage rate with the following tips. A higher FICO score means less risk and a lower rate for you. Some banks use alternative scores, but the score itself should not concern you. Rather, take a few simple steps to maximize the score a few months before sending out applications. Always make payments on time and in full if possible. Request a free credit report and dispute any errors. Speak with creditors about any defaults. Several credit inquiries in a short time will damage your score. The bureaus treat multiple inquiries for home financing as one inquiry when done at roughly the same time. Use this to avoid a score decrease. You should choose a loan package before comparing quotes. 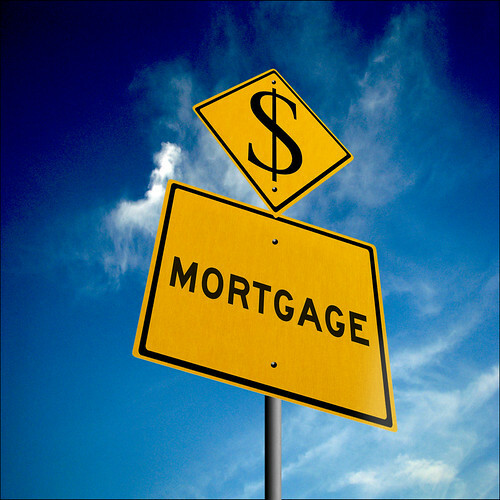 Otherwise lenders will quickly confuse you, and comparisons will be impossible. Every lender has a package where they routinely undercut the competition while other loans typically have higher rates than the average. If a lender talks you into a better deal, be sure to ask other lenders about their rates on the same type of package. With a sale price and mortgage rate, you can confidently use a calculator to determine the total cost of the home. If true, the world would be a simpler place. Always remember loan officers are in business to make money, and they have several ways of doing this. One is to fashion a package that hides fees behind a low rate, such as origination fees, points, commitment fees, and underwriting charges. Instead of asking for an APR or a total estimate, you have an easier solution. First, ask the office at each officer for a rate quote minus all fees and points. After establishing this, ask for the list of lender charges appearing in section 800 of the Good Faith Estimate. You now have a transparent method of comparing quotes. Mortgage rates has a lot in common with horse racing. It is possible to look at multiple variables for an informed guess as to whether rates will rise or fall next week, but there are always unseen variables. If the rate matches your budget and needs, the best advice is to take it instead of risking an increase with the next Consumer Price Index release. Finding a great deal on your first home is not difficult. Maximizing your credit score is the first step. After this, you need to research loan packages. Find the best package for your intentions and comparison shop. Hesitation could get you a better deal, but it may just as well end with a worse one. Megan Salmon is a guest writer for http://www.ppiclaims.uk.com where you can find information on mortgages, interest rates and special financing savings.